The reigning champions Juventus will take on relegation candidates Frosinone on Friday in a game of round 24 of the Italian Seria A. The hosts are eleven points clear at the top and their thoughts might be on the upcoming Champions League clash with Atletico Madrid next week. Frosinone are 19th in the standings with 16 points, but are just two away from Bologna who occupy the first place ensuring another season in the topflight. It will be a game of the best against the poorest defense in the league. 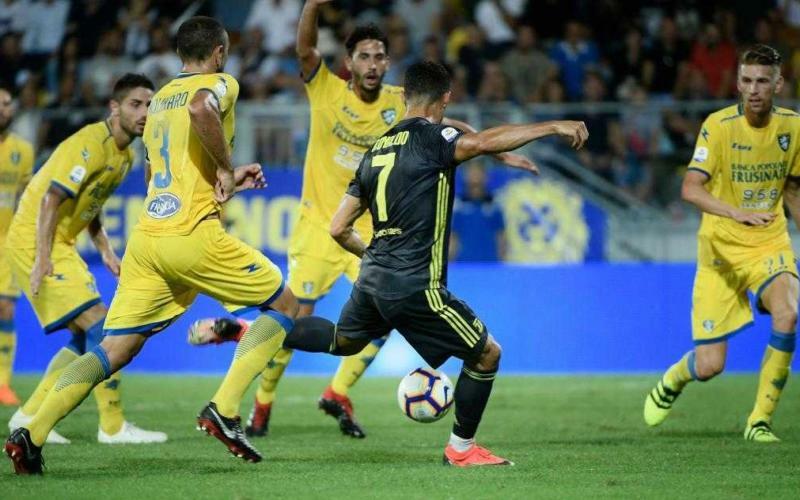 Last game between the teams: 23.09.2018 Frosinone – Juventus 0:2; Cristiano Ronaldo 81′, Federico Bernardeschi 90’. Worth mentioning: None of the five meetings between the sides have produced over 2,5 goals. Juventus kept a clean sheet in each of their victories, while both teams managed to score only in the 1:1 draw back in 2015. The last three wins for Juventus came with a score of 2:0. None of the sides have scored more than a goal in any of the two games played in Turin. Top performers Juventus: Cristiano Ronaldo 18 goals 7 assists, Mario Mandzukic 8 goals 4 assists, Paulo Dybala 2 goals 4 assists. Top performers Frosinone: Camillo Ciano 6 goals 1 assist, Daniel Ciofani 3 goals 1 aasist, Andrea Pinamonti 3 goals. Worth mentioning: All of Juvetus last five outings produced over 2,5 goals, while in just two of them both teams managed to hit the back of the net. The three goals conceded against Parma the last time out at home were the biggest number of goals Juve leaked in their home games this season. None of Frosinone last seven games saw both teams scoring, while just three featured over 2,5 goals. The team managed to record two consecutive victories on the road for the first time this season, when they triumphed over Sampdoria last weekend. Missing players Juventus: Alex Sandro, Douglas Costa, Giorgio Chiellini, Juan Cuadrado. Missing players Frosinone: Paolo Ghiglione, Stefan Simic, Nicolo Brighenti, Lorenzo Ariaudo, Emil Hallfredsson, Federico Dionisi.